Neal Young was named the head basketball coach at Covenant College (Division III; Lookout Mountain, Ga.) in August 2017. He arrived after spending four years as head coach at Goshen (Ind.) College. 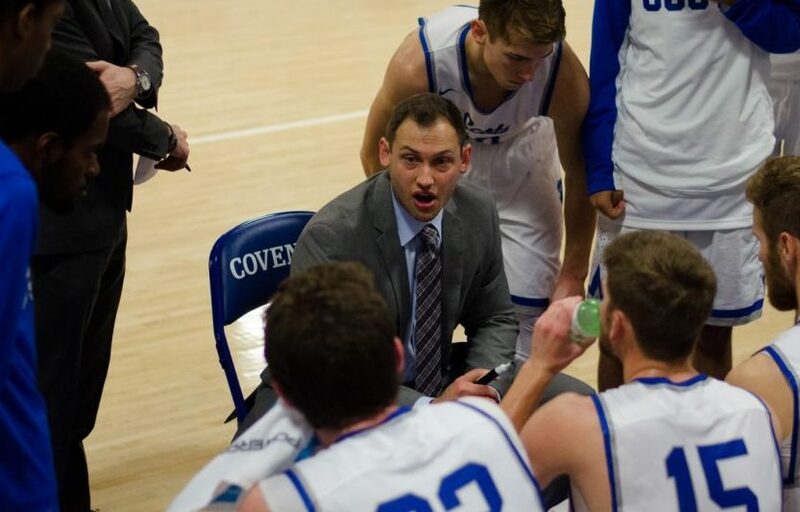 In his first year at Covenant, Young set a program record for wins by a first-year head coach as he guided the Scots to an 18-10 overall record, tying the program mark for winning percentage. The team also earned a trip to the USA South Tournament championship game, and won double-digit conference games for the second time in three seasons. Young also had success leading Goshen, an NAIA Division II member. His 2015-16 team recorded its second double-digit victory season in 46 years of Crossroads League basketball. Goshen went 19-13 overall and 10-8 in league play, hosting a CL tournament game for the first time since 2005, and also produced an NAIA All-American in the process. This past year, the Maple Leafs toppled No. 1-ranked University of St. Francis for the program’s first-ever win over a top-ranked opponent. On this episode of the podcast, we learn about Young’s basketball journey, but even more, his journey to faith in Christ while battling cancer and depression. Enduring those trials while continuing to achieve his dream as a college basketball coach is sure to inspire everyone who listens. When worship of The King is the ultimate pursuit in the midst of competition the end result may not always be a win, but it will always be good.